Cleaner/Glaze. Part of the Body Shop line designed for fresh paints. A machine-applied Cleaner Glaze/Polish intended to remove compounding, wool pad and swirl marks. 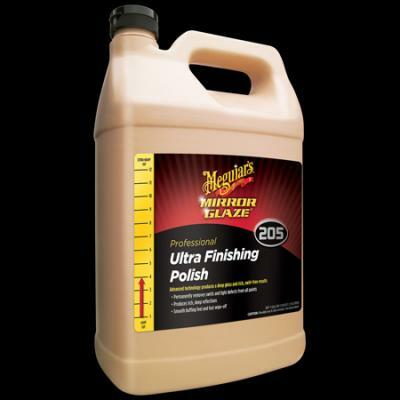 Matched to Meguiars Ultra-Cut Compound M105 and sufficient to take out the fine marks that it leaves behind. Use a medium grade foam pad with this material. It's best to avoid wool pads which will continue to leave pad marks even while glazing. You may not see them because a glaze will hide them but they are still there and when the glaze goes away, all the marks pop back up!